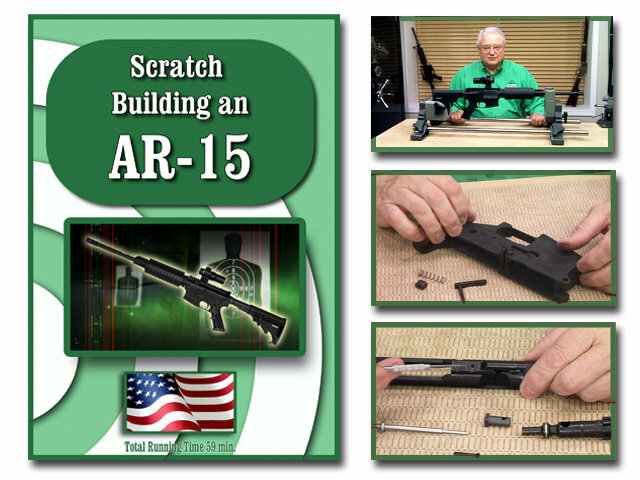 Run Time: 59 Minutes This DVD takes the viewer step by step through the process of building an AR-15 Carbine from scratch. Armorers and New Shooters will find this DVD useful in assembling these extremely popular firearms. Larry Shields covers topics including General Safety Procedure, Suggested Tools, Lower Receiver Assembly which includes the Fire Control, The Upper Receiver Assembly including Barrel Installation, Bolt and Bolt Carrier Assembly and the Final Assembly of all the Components. All On-Target's DVD's are digitally produced and provide clear and concise instructions. We at On-Target take great pride in the upclose videography of each DVD.